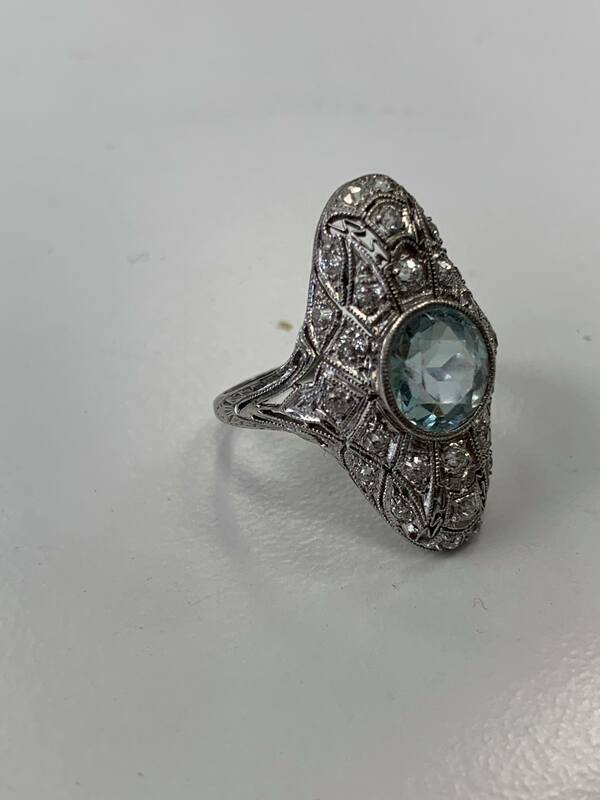 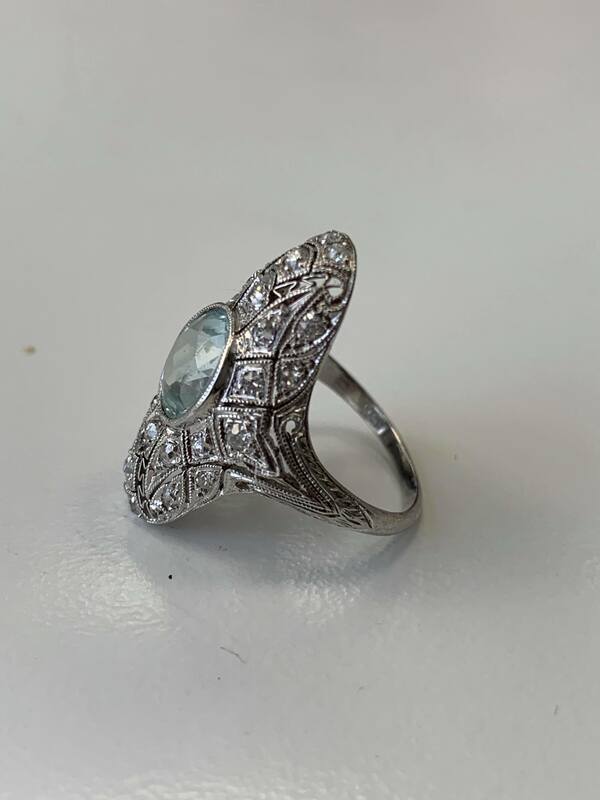 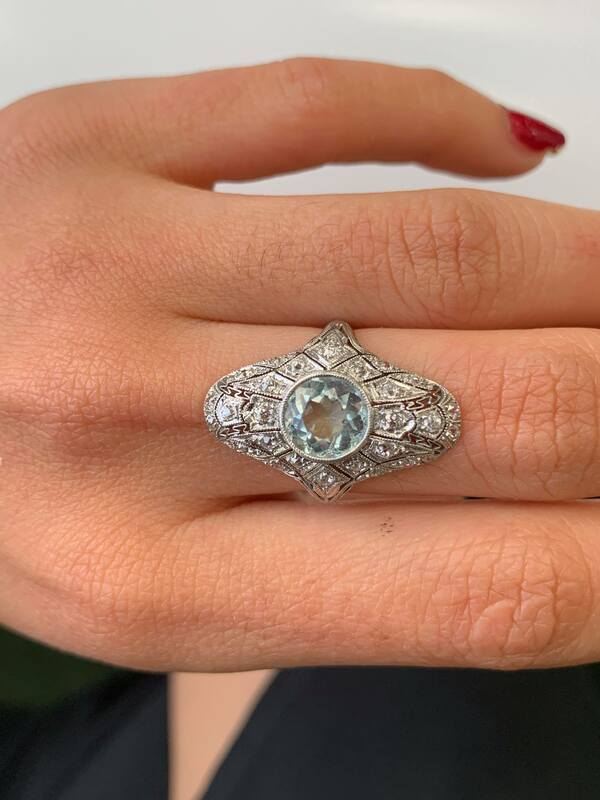 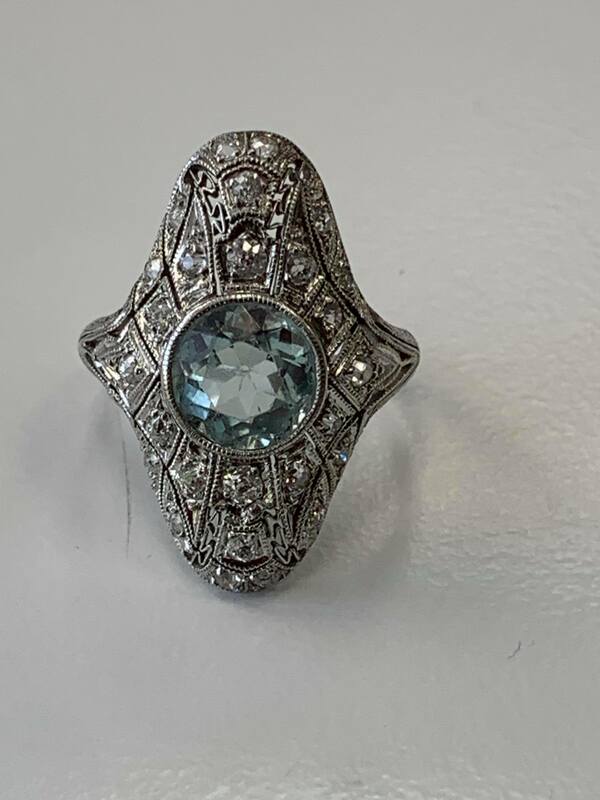 A beautiful Art Deco Aqua Marine and Old European all mounted in a Platinum Ring. 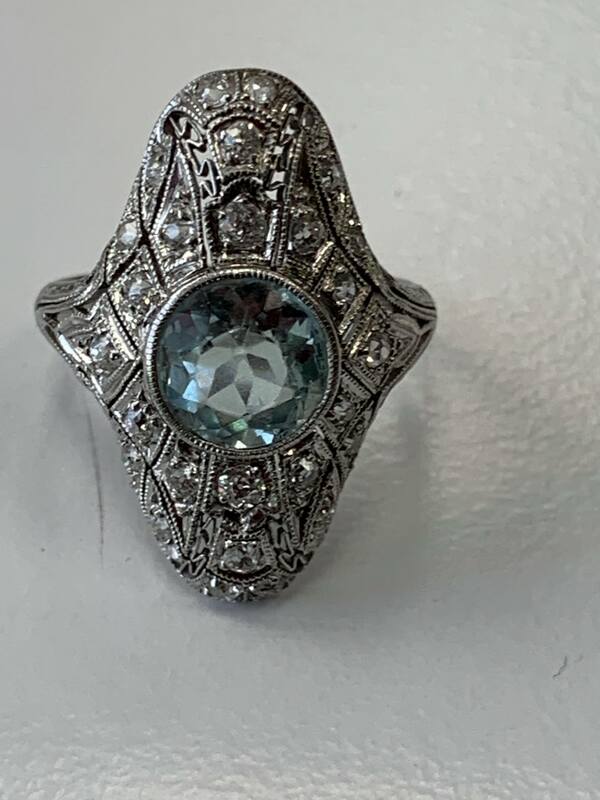 The ring is absolutely beautiful for its age, it has a round aqua marine in the center and at least 0.50 carats of old european that are F-VS quality. 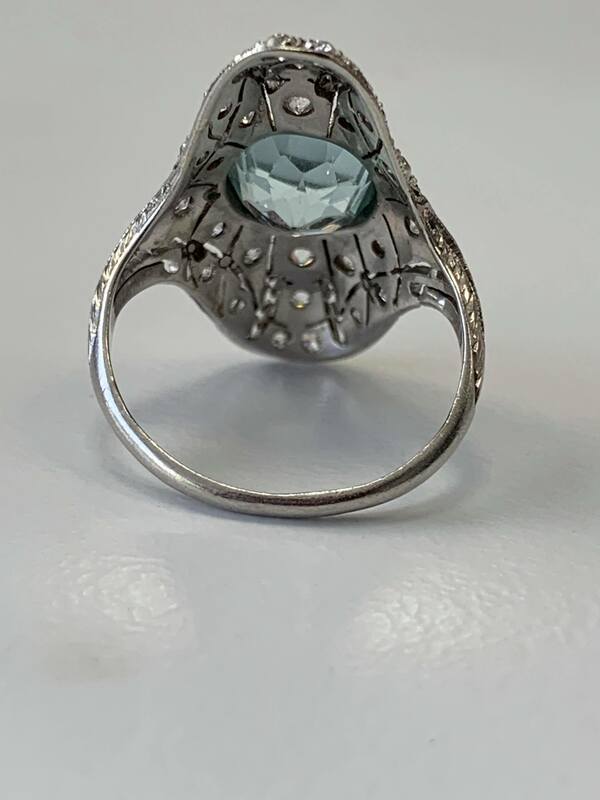 The ring is made of platinum from the 1930s, finger size 5.75. 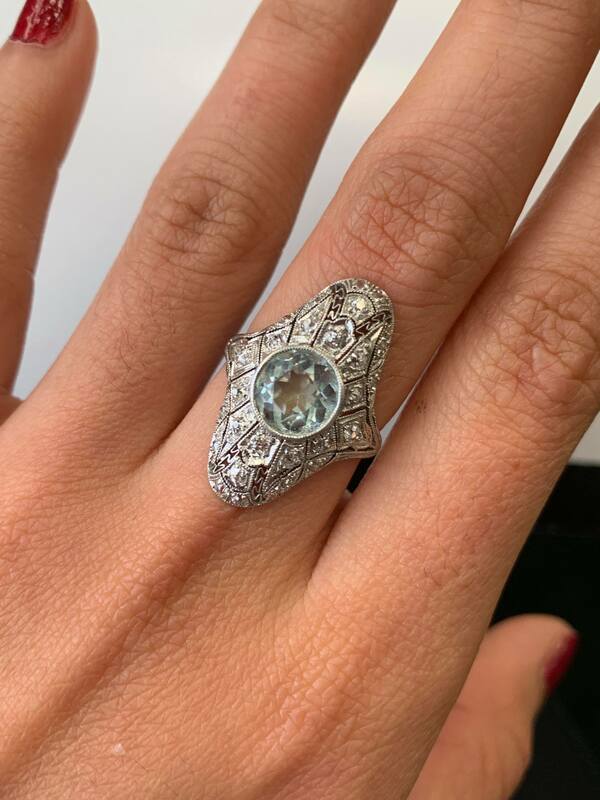 A special piece.